Nejmeh Square, Place de l'Étoile, is home to the Lebanese Parliament, its complementary Deputies’ office building, two cathedrals, a crypt museum, plus several cafés and restaurants. 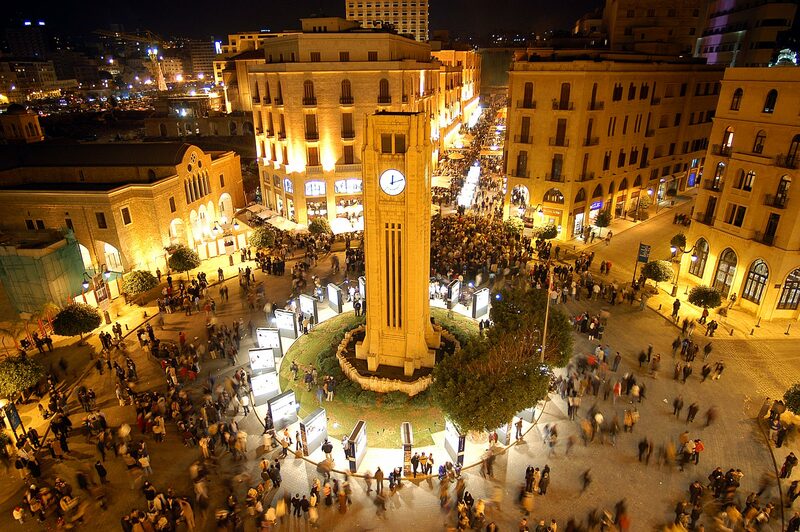 The square is a recognizable icon of Beirut, most notable for its Art Deco architecture. The 1930s clock tower, jewel of the square, was a gift from Lebanese-Brazilian émigré Michel Abed to the Lebanese Government. Today, the square is filled with people from all walks of life, tourists and locals, grown-ups and children, who come here to dine, walk or enjoy the street life.